The International Human Rights Day is observed every year on December 10 to commemorate adaptation of Universal Declaration of Human Rights. Observance of the day seeks to encourage, support and amplify measures to be taken by everyone to defend human rights. The theme for this year is ‘Stand Up For Human Rights’. On this day in 1948, UNGA-then headquartered in Paris-ratified Universal Declaration of Human Rights (UDHR). The Day was formally established at the 317th Plenary Meeting of the UNGA on 4 December 1950. The seventh edition Hand-in-Hand Military exercise between India, China began in Chengdu, China. It is aimed at improving capabilities of the two armies in fighting terrorism and promoting mutual understanding. The exercise was held after gap of one year as both the sides were locked in 73-day standoff in Doklam in Sikkim sector of the border in 2017. The main focus of this exercise is on counter-terrorism operations. It was started in the year 2007. Global Compact for Safe, Orderly and Regular Migration was adopted by 164 nations including India at Intergovernmental Conference to adopt this compact held under auspices of United Nations General Assembly (UNGA) at Marrakesh, Morocco. It is first intergovernmental agreement to cover wide-ranging dimensions of international migration in holistic and comprehensive manner and agreed upon by all the UN member states except United States. According to UN, there were 258 million international migrants in the world in 2017, increasing almost 50% since 2000. Appointment Committee of Cabinet approved the appointment of India’s former economic affairs secretary (2015-17) and current member of the Finance Commission Shaktikanta Das as next (25th) RBI Governor. Shaktikanta Das is a 1980 batch IAS officer of Tamil Nadu Cadre and a very prominent bureaucrat who served under both NDA and UPA governments. He will serve as governor for the term of three years. His appointment comes after the resignation of Urijit patel as governor. Patel has become fourth RBI governor to step down before end of term. The Food and Agriculture Organisation (FAO) Council of the United Nations approved India’s proposal to observe the year 2023 as the International Year of Millets. The approval came during the 160th session of the FAO, which was held during December 3-7, 2018 in Rome. The Move came after the millet cultivation in India has declined due to change in dietary habits and unavailability of millets. FAO Council also approved India’s membership to the Executive Board of the United Nations World Food Program (WFP) for 2020 and 2021. Ukrainian President Petro Poroshenko on December 10, 2018 signed a bill ending the two-decade-old treaty on friendship, cooperation and partnership between Ukraine and Russia. The treaty will be terminated on April 1, 2019. It is a part of the Ukrainian strategy of reorientation towards Europe. The friendship treaty between Ukraine and Russia was signed in 1997 and brought into effect on April 1, 1999. The United Arab Emirates (UAE) has decided to increase the representation of Emirati women in the Federal National Council to 50 per cent from the coming Parliamentary term. The decision is aimed at achieving full empowerment of the Emirati women and put emphasis on their pioneering and effective role in all vital sectors of UAE. The Federal National Council is the consultative council, the parliamentary body of the UAE. The Indian National Congress (INC) emerged as the single largest party in Rajasthan, winning 99 seats out of 199 in the 2018 Rajasthan Assembly Elections. Following the declaration of results, Rajasthan CM Vasundhara Raje of the BJP tendered her resignation to the Governor Kalyan Singh. Rajasthan had gone for polling in a single phase election on December 7, 2018 for 199 out of total 200 seats. The term of current Rajasthan Assembly ends on January 20, 2019. The Mizo National Front, a former ally of the BJP has won 26 seats in the 40-member assembly, followed by Congress in the second position with 5 seats in the Mizoram State Assembly Elections 2018. Mizoram had gone for polling in a single phase on November 28, 2018. The Indian National Congress had been in power in the state since 2008. The tenure of the current Assembly will end on December 15, 2018. In the 90-member Chhattisgarh Assembly Elections 2018, Congress lead with 64 seats, followed by BJP with 19 seats and Bahujan Samaj Party (BSP) and others with 6 seats. The polling for the Chhattisgarh Legislative Assembly took place in two phases, one on November 12 and the second on November 20, 2018. The Chhattisgarh Legislative Assembly comprises 91 Members, which include 90 members directly elected from single-seat constituencies and 1 nominated from the Anglo-Indian community. The ruling Telangana Rashtra Samithi (TRS) has secured a simple majority in the 119-member state assembly of Telangana by winning 87 seats on December 11, 2018. This is the second-ever assembly elections of the new state. The first one had taken place in 2014, right after the state’s creation following its separation from Andhra Pradesh. 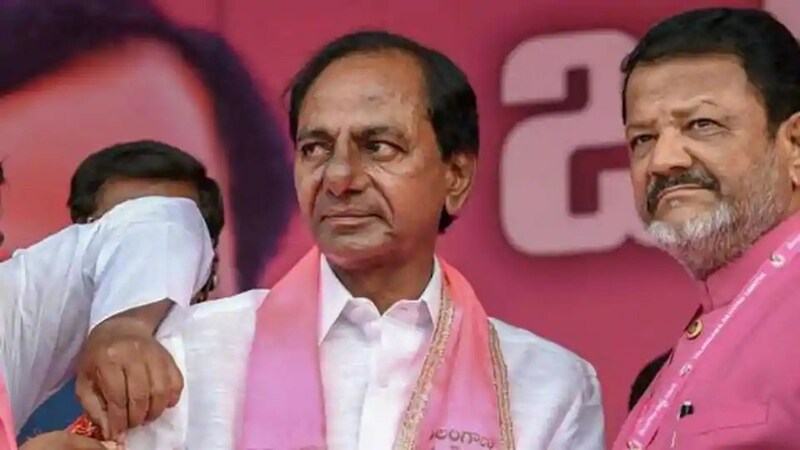 The Telangana CM and TRS leader K Chandrasekhar Rao dissolved the Telangana assembly in September 2018, almost nine months before its term was supposed to end. In the Madhya Pradesh legislative assembly elections 2018, the Indian National Congress won 114 seats, BJP won 109, BSP won 2, SP won one and independents won a total of 4 seats in the state’s 230-member house. The number of seats required to form the government is 116. The assembly elections were held in Madhya Pradesh on November 28. The BJP has been in power in Madhya Pradesh for the last 15 years. 1. On which day International Human Rights Day is observed every year? 2. When was the Hand-in-Hand Military exercise between India and China started? 3. How many nations have adopted Global Compact for Safe, Orderly and Regular Migration? 4. Who will be the 25th governor of RBI? 5. What is the tenure of governor of RBI? 6. How many RBI governors have resigned before their tenure till now? 7. Which year has been approved as the International Year of Millets by FAO? 8. When did the friendship treaty between Ukraine and Russia come into effect? 9. What is the increase in the representation of Emirati women in the Federal National Council of UAE? 10. The Rajasthan Assembly has ___ members. 11. The Chhattisgarh Legislative Assembly comprises _____ Members. 12. Who won the second general assembly election of Telangana? 13. What is the size of Madhya Pradesh legislative assembly?